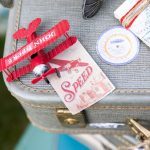 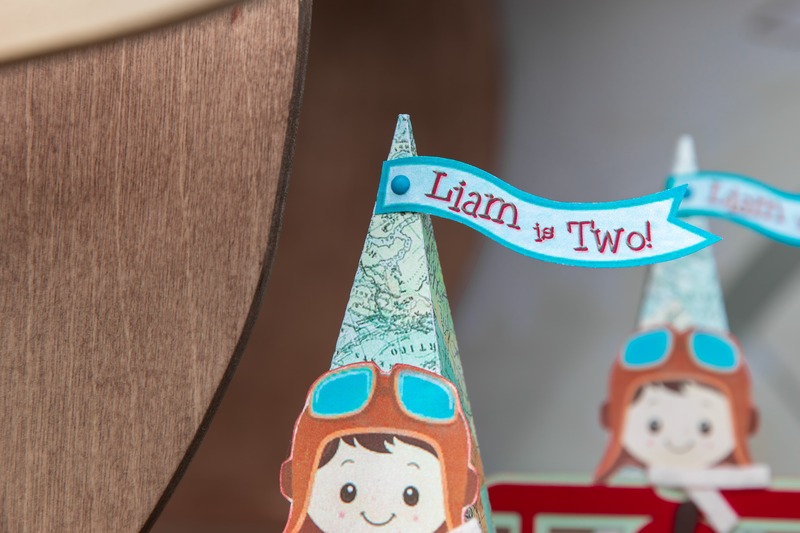 Let me take you to the most adventurous and fun plane ride of the season. 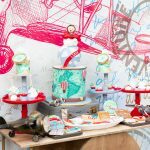 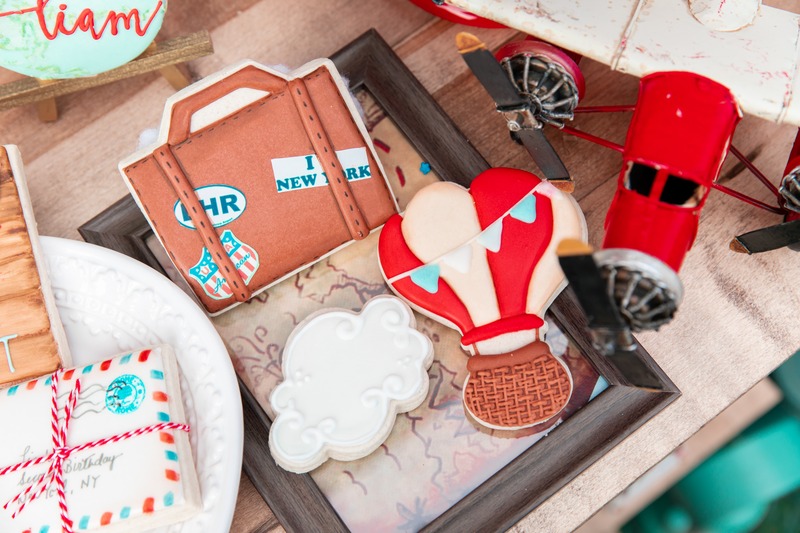 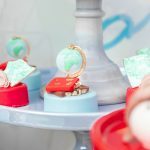 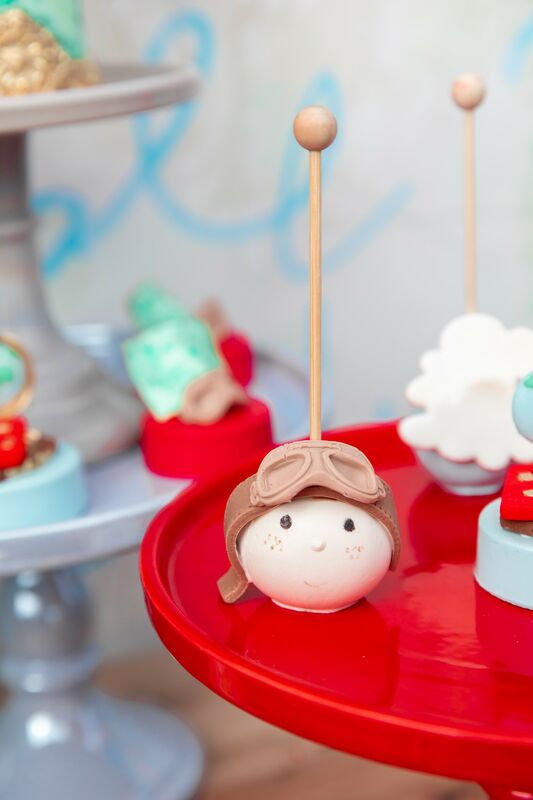 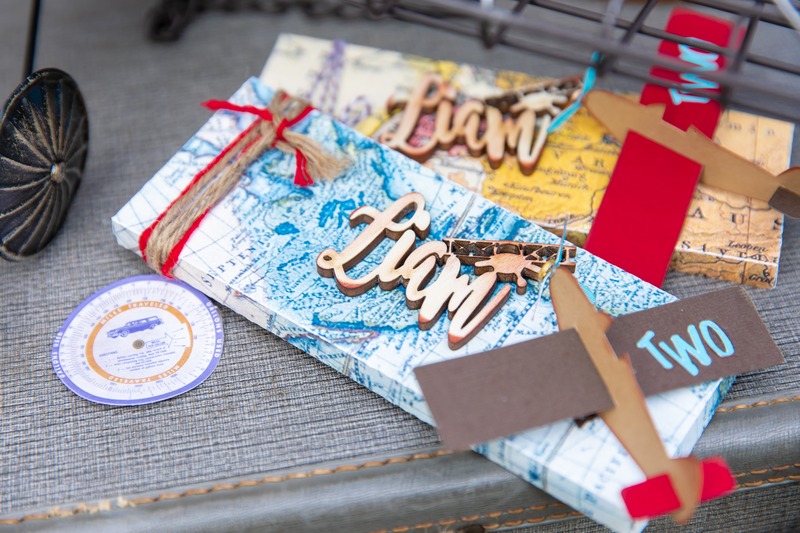 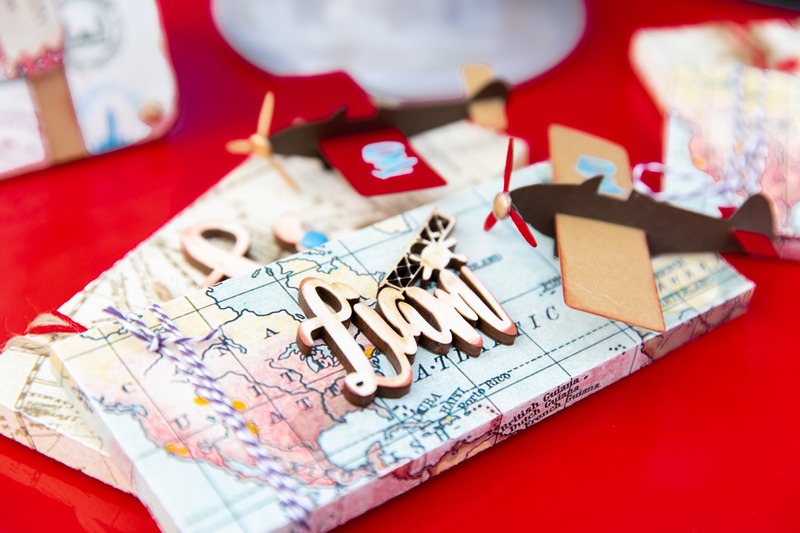 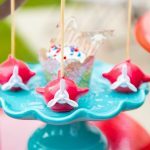 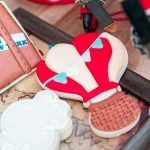 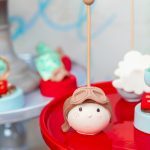 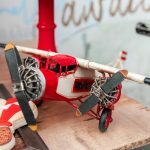 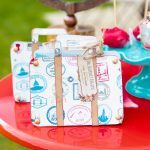 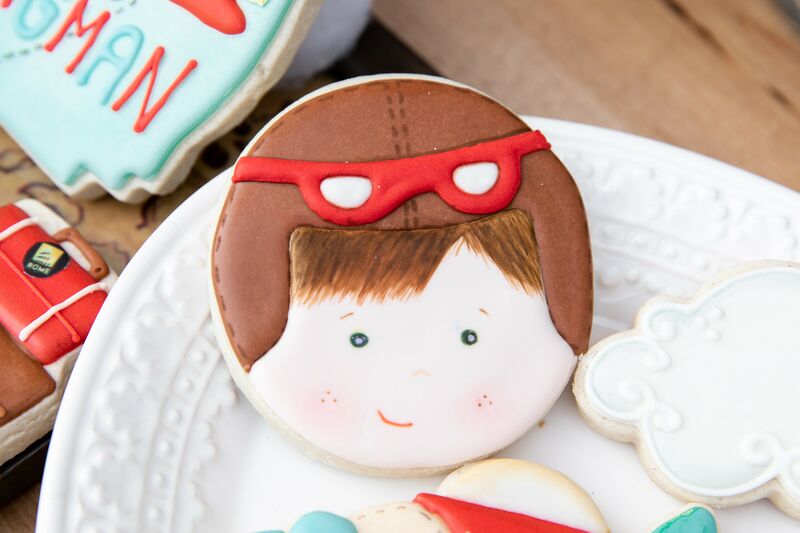 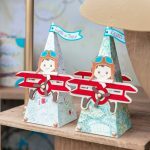 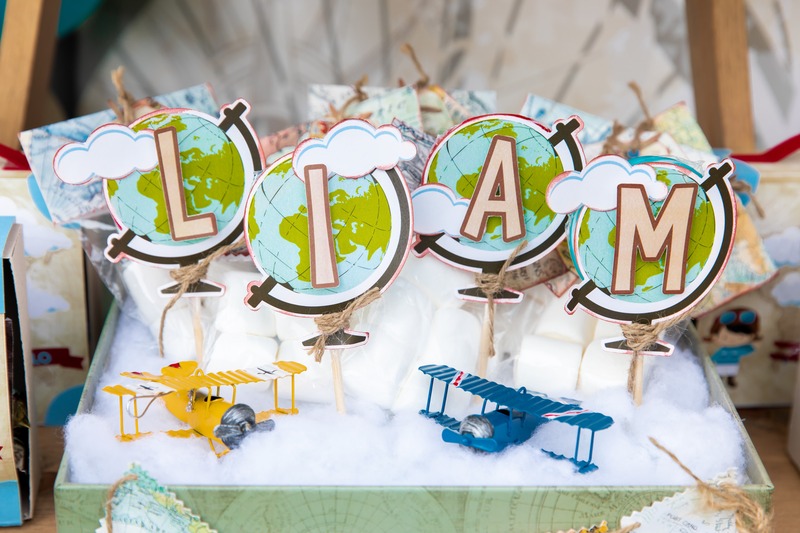 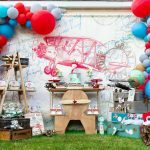 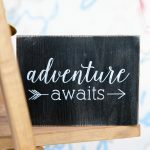 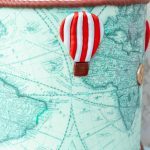 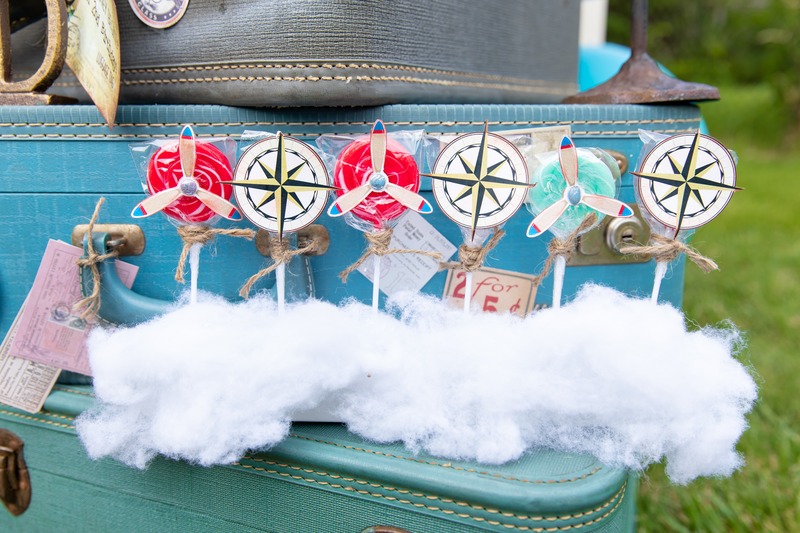 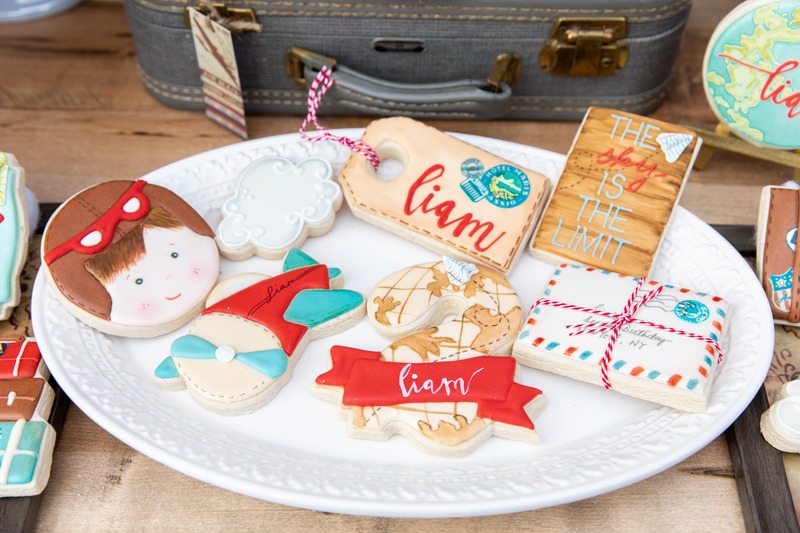 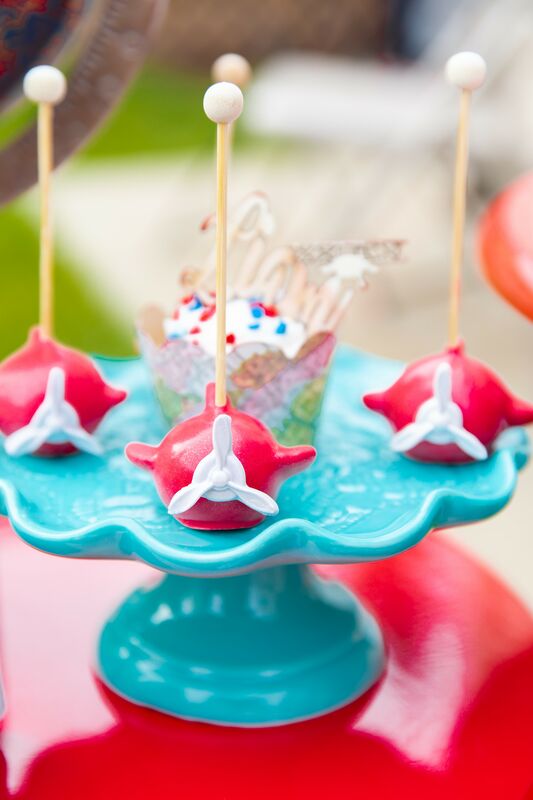 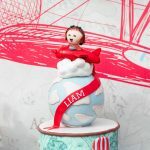 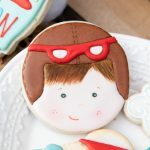 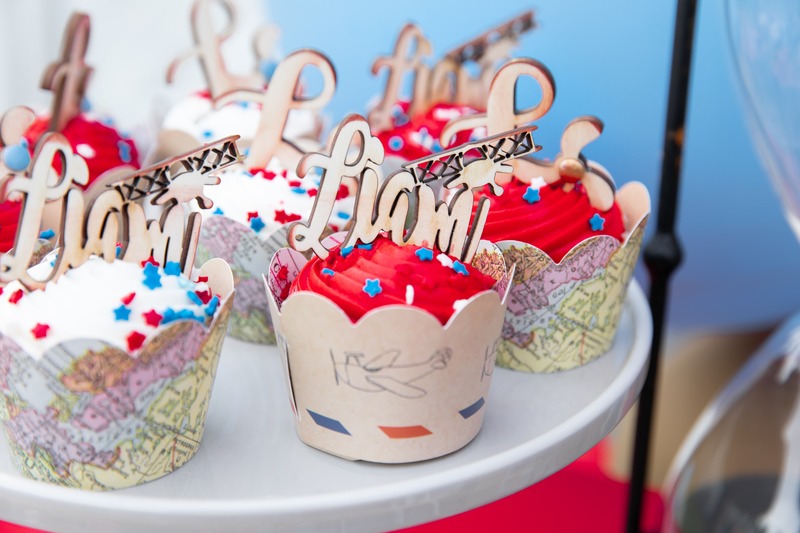 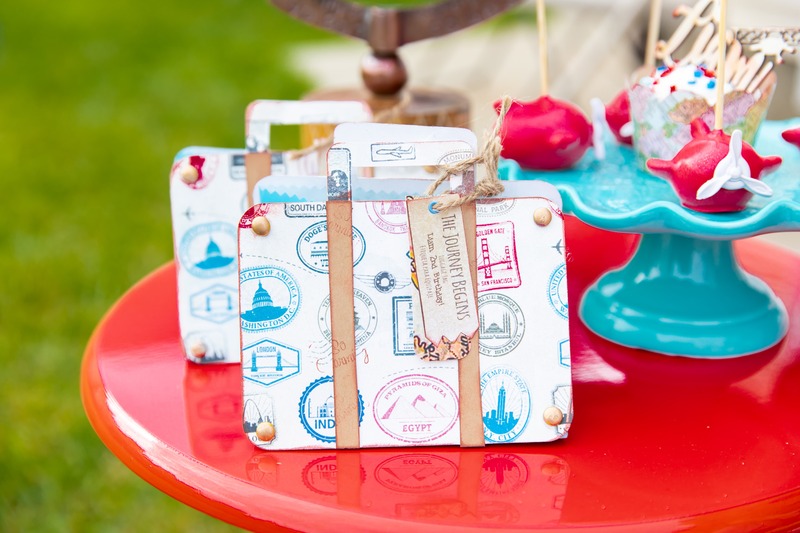 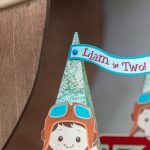 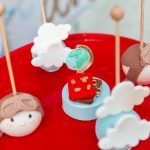 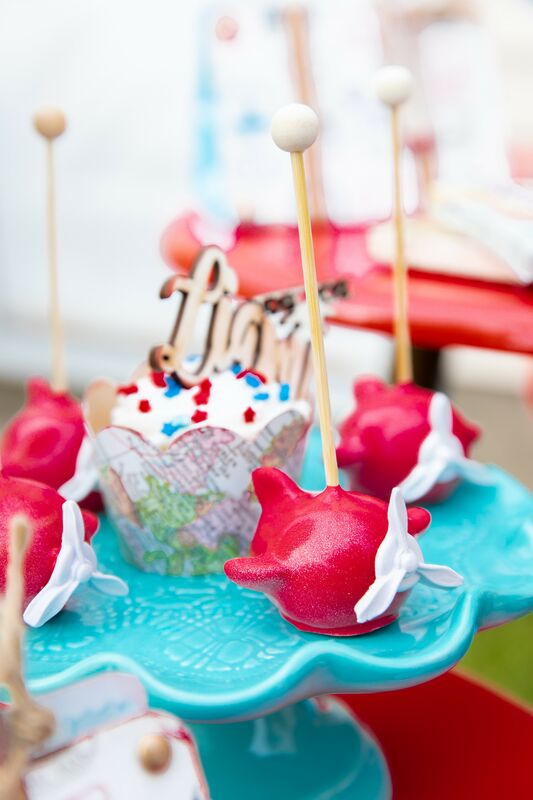 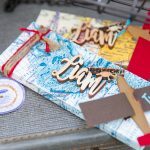 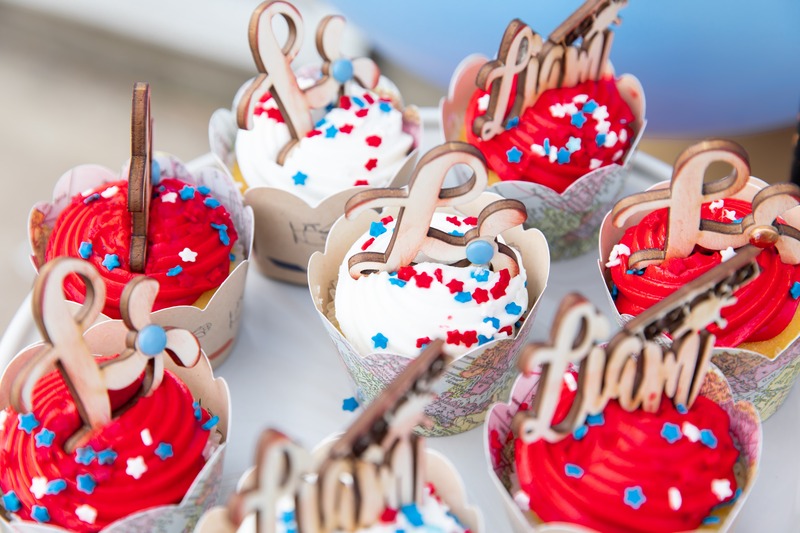 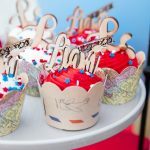 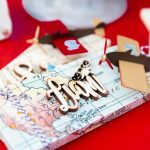 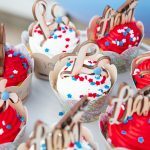 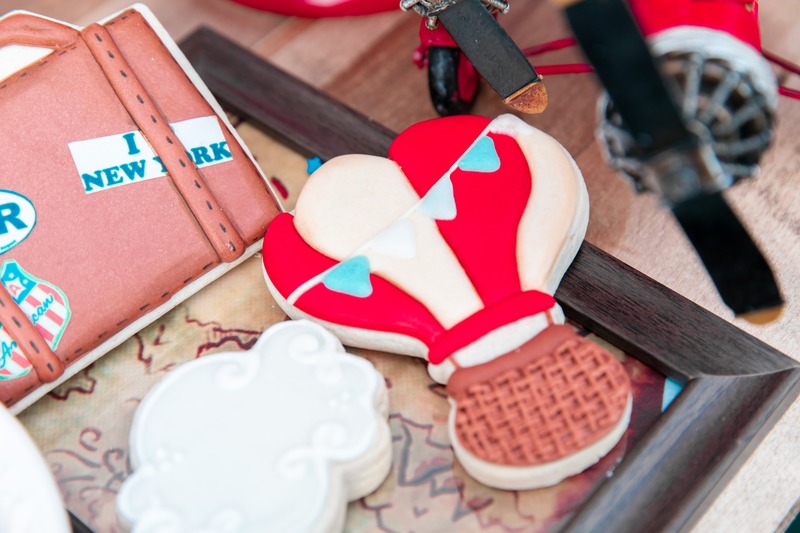 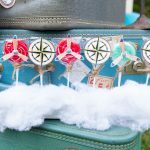 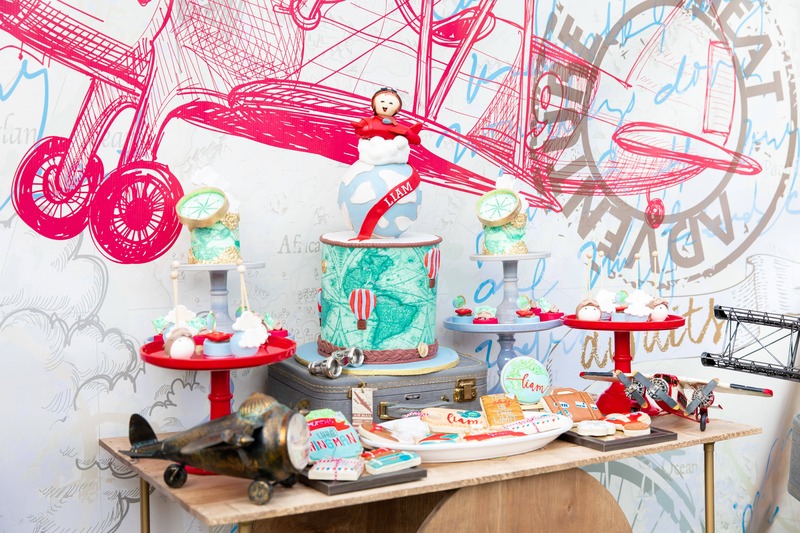 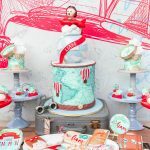 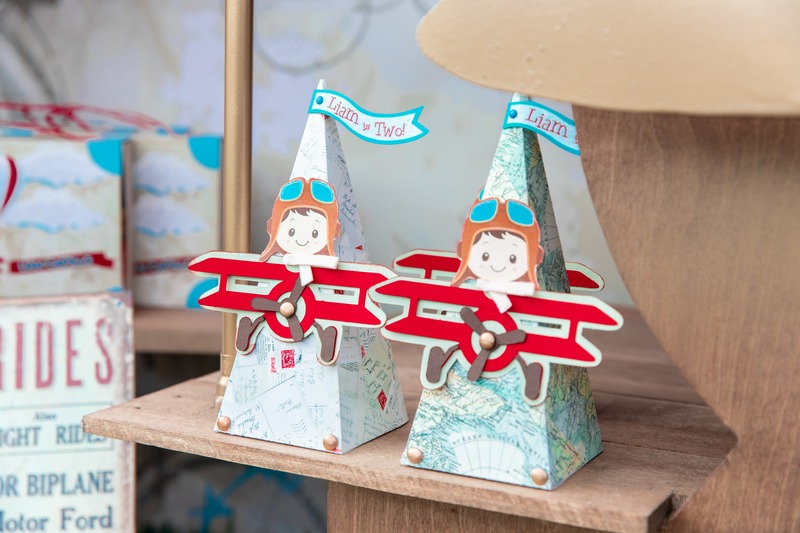 This gorgeous around the world themed birthday party for boys is an amazing creation of Creative Touch by Johanny. 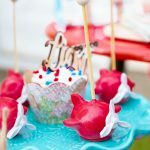 This party looks super adorable and surely is one of a kind theme I’ve seen so far. 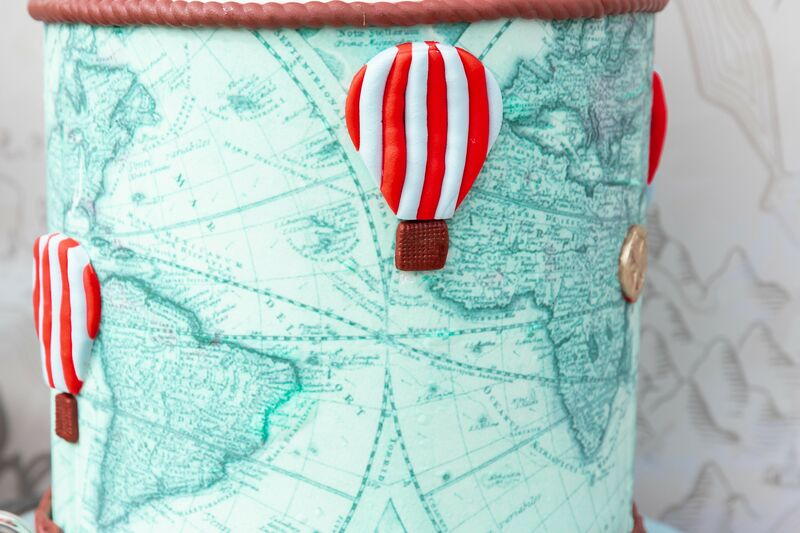 There are tons of astonishing details in every inch of the whole setup. 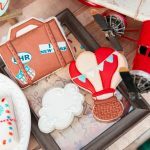 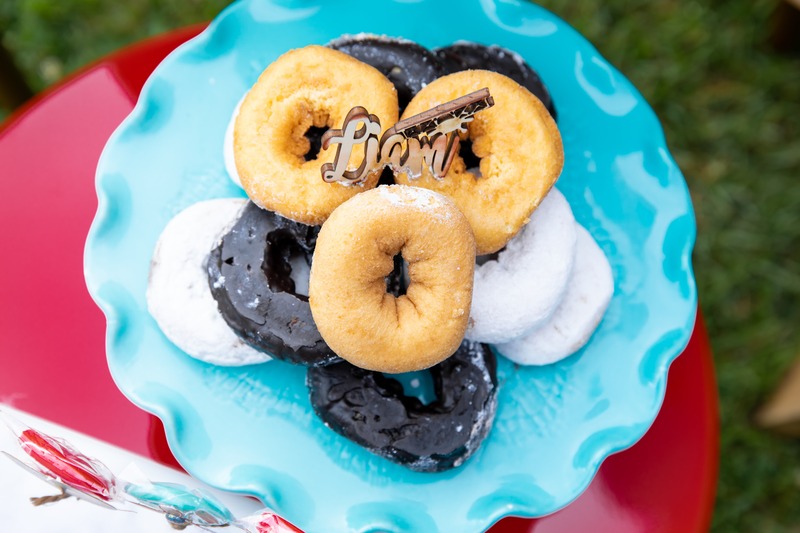 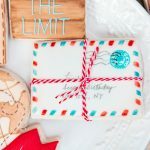 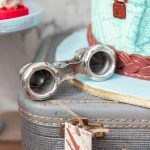 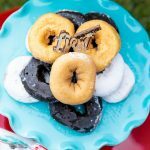 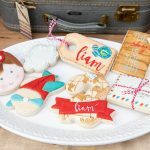 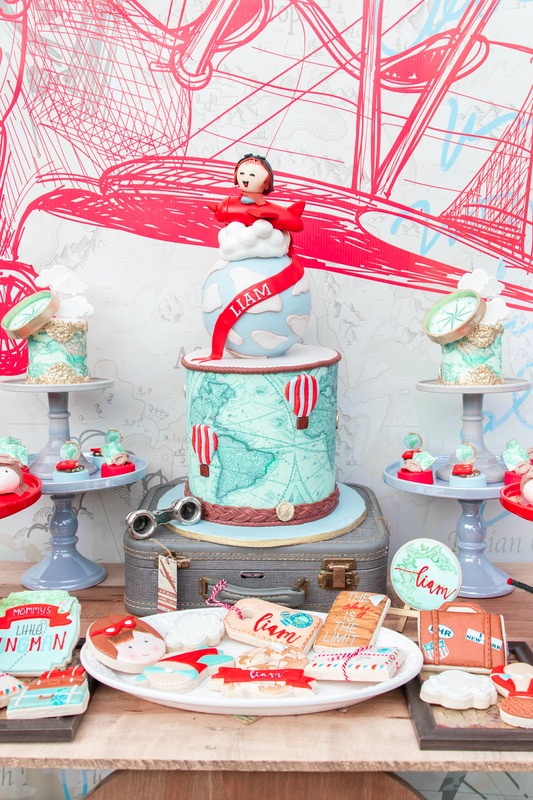 Right from the color scheme to the backdrop, from cake and cookies to party favor box, and all kinds of props are in perfect harmony from bottom to top. 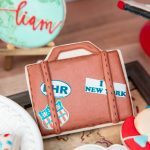 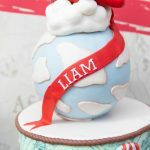 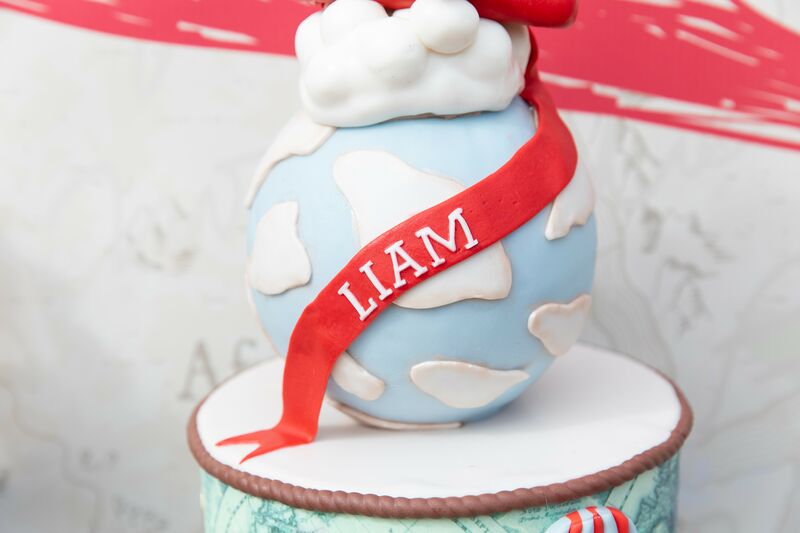 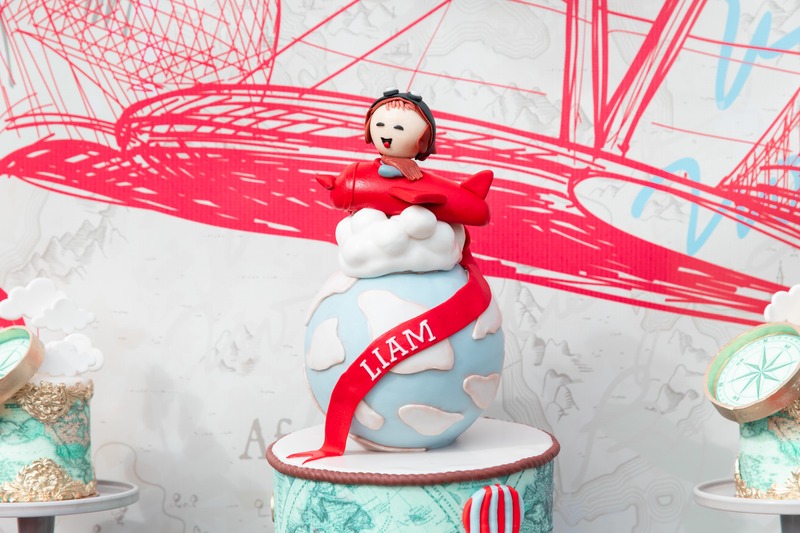 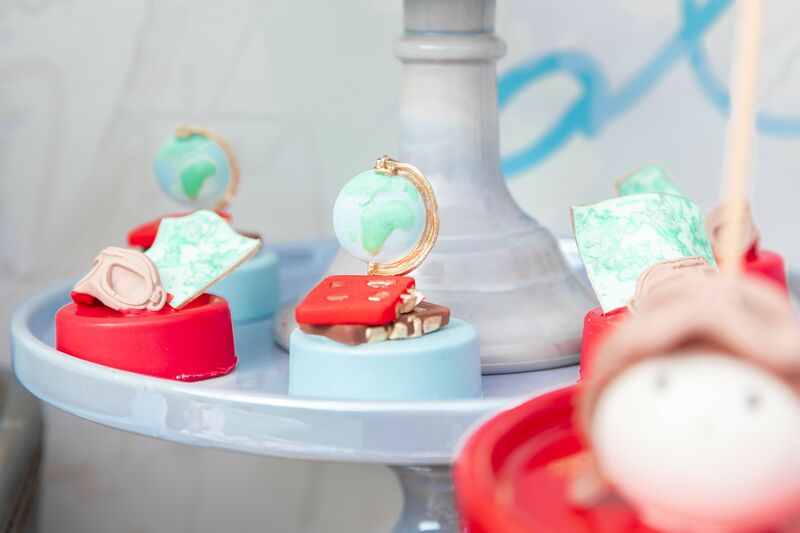 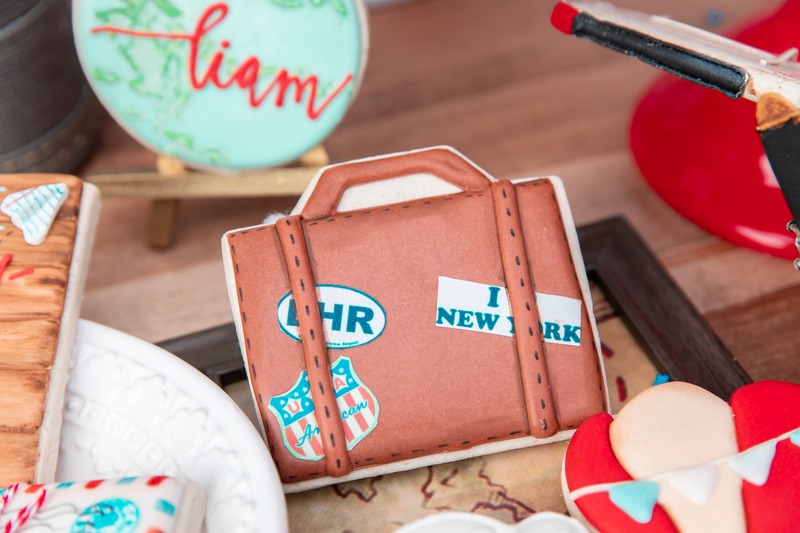 The cake looks stunning with world map image imprint and little boy sitting on the plane on top of the globe. 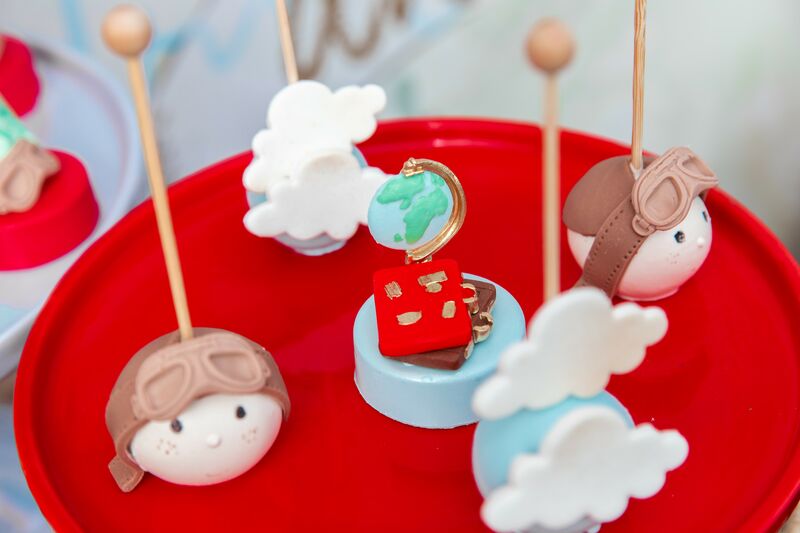 Cookies and aero cake pops are looking cute as well. 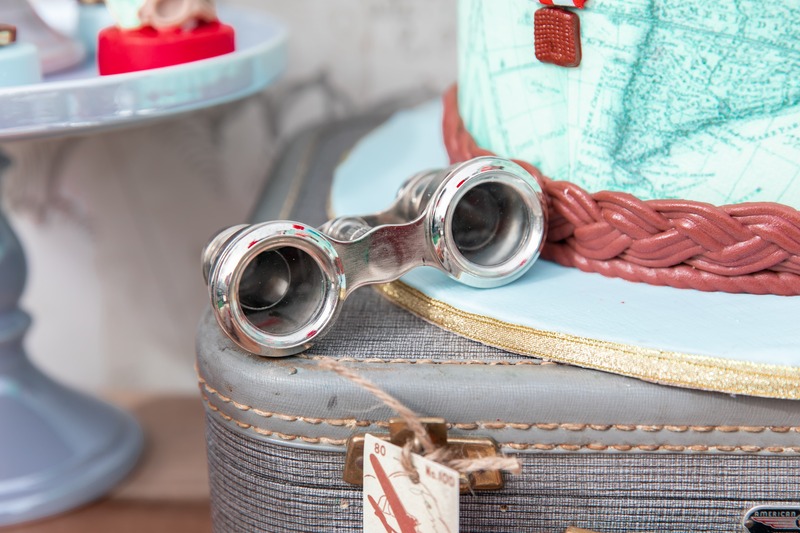 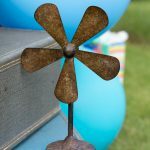 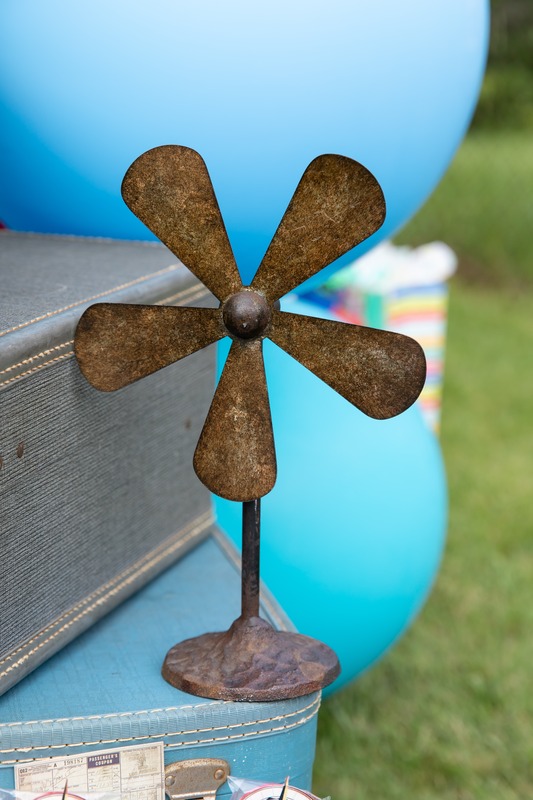 Adding a vintage charm make this party even more beautiful. 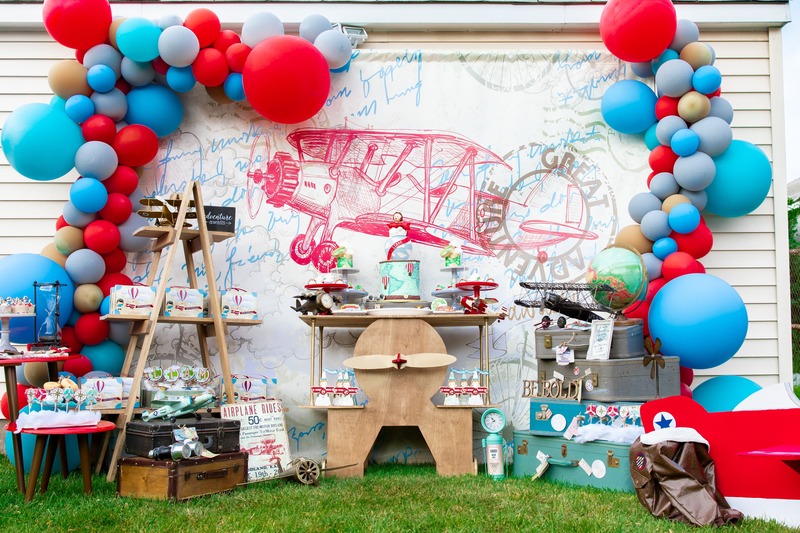 Huge backdrop and balloon decor gives it a perfect pop of color. 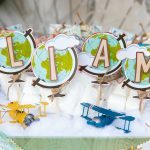 Couldn’t think of a better center table for this theme custom made specifically for this special event. 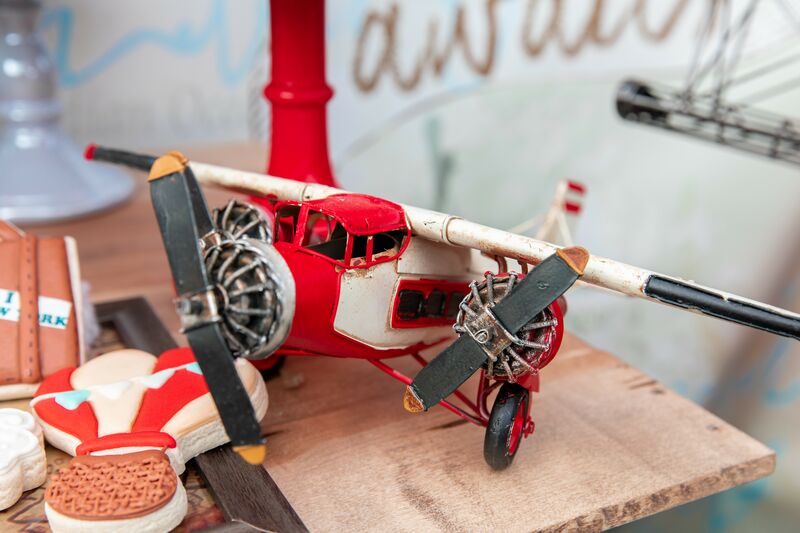 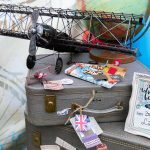 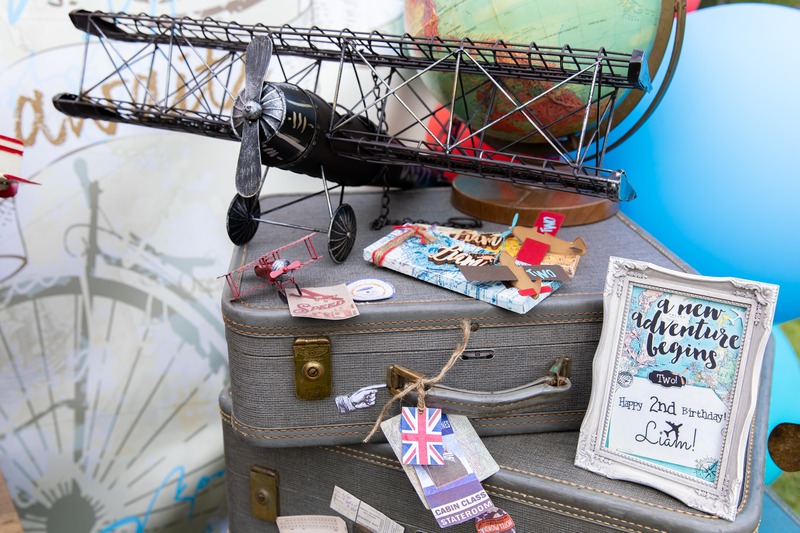 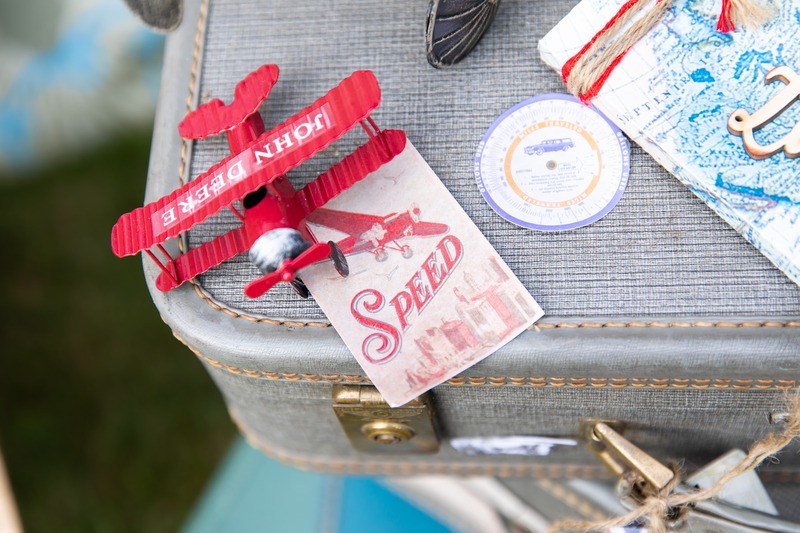 Old fashioned suitcase, toy planes, hour glass, windmill and distressed display board are some quite interesting touches to this setup. 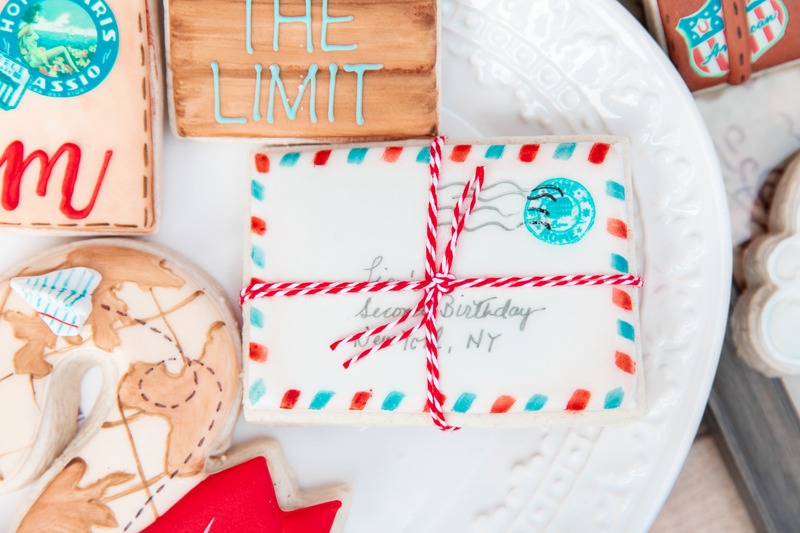 It’s true – “Sky is the limit”. 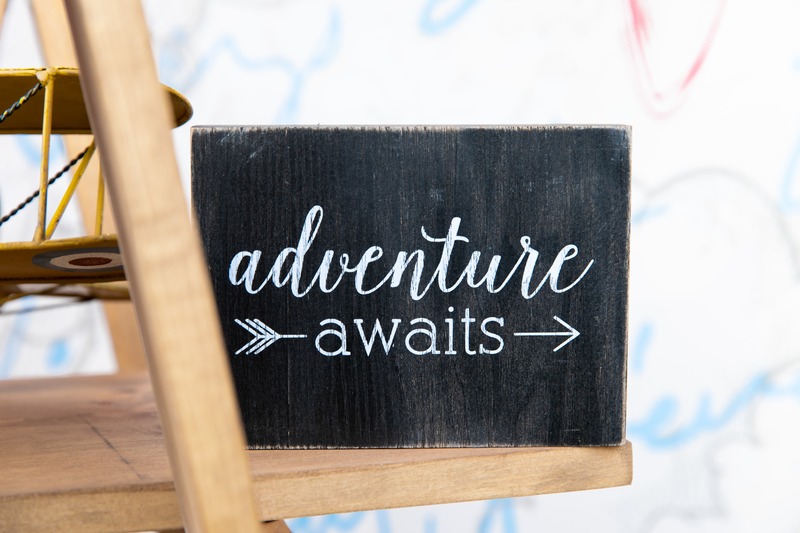 Be bold, ride along and make a world full of memories.